There are some more-than-significant issues in today’s world that are urgent: we are Warming the planet, most of the world’s money is landing in the hands of a Few being two that sit at the top of my own mind. While I sit here and continue to come to terms with how the person currently residing in the world’s most powerful position is the same person who gained his wealth by buying far more property than he needed for himself, purely to make a profit from the knowledge that by reducing the supply it would increase the housing prices, and then, since he literally owns one of the largest hotels in Manhattan, renting out most of it for the same inflated prices that his original greed helped unnaturally inflate in the first place, was the same person that the working class citizens decided to put in charge doesn’t leave much hope in my mind for humanity going forward. We collectively as a team, apparently, aren’t all that effective at organizing something close to fair and that works for everyone. We seem far more interested in being self-centered and creating the largest empire as quickly as possible at the expense of the very hands who helped build it. All because, well, because the people in the positions of power, can. The ones at the top of a capitalist society will eventually be the more intelligent and the more educated given that the higher paying jobs, most of the time, go to those people. Living with democracy in a capitalist country creates what seems to be an unbeatable paradox that helps the elite, one where the majority of people are the working class, and the working class will eventually be mostly made up of the not-so-bright individuals of our society who will solely rely on the leaders, the rich, the educated, the ones in the positions of power to care about its people instead of abusing them. What the world must have if it is to keep revolving around the sun with humankind on board and for it to resemble anything of a desirable world is the person at the very top of all this to be a righteous person instead of greedy and self-absorbed. Making matters worse, at least for a little while longer, is that same person who is responsible for doing those very things mentioned, currently heads the United States leadership, whose life has always been filled with privilege and education—the best his incredibly wealthy and privileged country could produce—also then happens to completely deny climate change purely so he can continue making more money because there are conflicts between business and caring about the environment. I’m also aware that, through some trial and error on my own behalf, you can’t talk about politics without getting quite a few people’s knickers in a knot. Forgetting the world’s problems and focussing on something of a narrower scope that I sit in front of every day, the internet also has its own set of problems that have plagued it in recent years. What we, collectively, as a team of humans working together, feel the right way to solve them is no less conflicted. The way most of the internet works is you have website owners, known as webmasters to some or founders to others, who own a website. They, as owners, have expenses to pay for: you need to put the website on a server, once you start getting a bit of traffic you also might want to start hiring people to write for your site, and let’s not forget the website that people look at is going to cost a pretty penny in the beginning and whenever you want to update it, too for its design and layout. Due to the complexities of web developing and a website needing to be hosted on a server, you don’t just jump into running a website as you would go for a jog at sunrise. You have a lot of financial responsibilities to think about. Servers are far more expensive than air. The time spent to acquire the knowledge shouldn’t be underestimated either. The way the internet has evolved over time has accommodated these expenses very well by the use of advertising. A website puts up some advertising banners which allow for the readers to continue getting content for free and for the website owners to cover the expenses of running a website, along with paying themselves a wage if they want to start working as a content creator full time. Unfortunately, something else that has evolved over time has been low-quality websites. Anything from the adult industry, which some may argue isn’t all that low, and anything from illegal activity like torrents, can’t get accepted into the good quality advertising networks, and thus they struggle making revenue. The irresponsible webmasters of these sites that do things like share torrents around the world are, not so surprisingly, also very irrepressible when it comes to displaying advertisements. Since no good network will accept them, they often resort to displaying lots of low-quality ads. Users being users didn’t stop checking the adult content, and they didn’t stop downloading the torrents. Instead, they decided to start running this thing called ad block, effectively allowing them to continue browsing these low-quality websites without the burden of putting up with their low-quality ads. The thing about ad block is that if you run it then it runs for all sites and you would need to manually begin excluding the websites of which you didn’t want to harm by taking away their revenue. The idea that people will manually unblock each, or even most, websites that they go around and visit is implausible. It simply won’t ever happen. Nonetheless, that hasn’t stopped a few people I know personally, who obviously do have brains given what they’ve achieved, and their abilities to do things that I still can’t and that take a lot of training, suggest that it might not be the best way of dealing with the problem of some sites advertising irresponsibly but it also might not be the end of the world either. Some websites are now choosing to block the readers who try to view a webpage with ad block on, and as long as the readers oblige by turning it off when visiting the content, then it all should work out, to some extent, in the end. So you’ve decided to continue your quest of finding the best ad blocker out there and using it to block the vast majority of the Internet’s advertisements. Let’s not waste any time in announcing what we think is unquestionably one of the better extensions for this job. Ad Block Plus offers one of the best experiences that we’ve found after trialing the top 10 ad blocking extensions. It’s the most used out of the bunch, it makes lots of money from blocking ads (ironically, since it extorts ad networks and the ones willing to pay money are then allowed through), and thus it has the best group of developers on hand to continue maintaining it thanks to all that funding. This is very much a dirty plugin extension for Chrome from a webmaster’s point of view: it gets its success from stealing the name of a plugin that was developed before it (Ad Block) and deceives people into thinking that it is the better version of it, when it fact, they aren’t even related at all, it is getting rich from extorting advertisers, and it does it all without flinching. But from the blocking of ads perspective, it is one of the best. You won’t find any issues when you run this plugin, and even with its extorting tactics, it manages to block out more ads than the others. 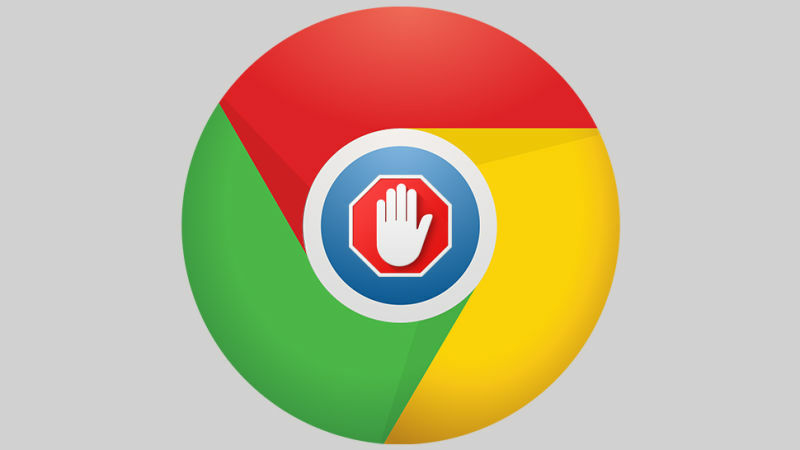 Ad Block is the original ad blocking plugin that had been around for the longest. We trialed this one ourselves and didn’t have any problems with it, and we might have been inclined not even to try any of the others if it weren’t for the developers beginning for donations (for taking away the webs ad revenue). That seemed a little odd, but there is a lot of money in the industry of blocking ads. It’s hard to say which plugin is being used the most because the Chrome web store doesn’t show the number of installations like the Google Play Store does, but if we were to take a stab at it, we’d say that it is actually this plugin that is being used by the most people. We assess that by looking at the number of reviews (there are nearly double the number of reviews than for Ad Block Plus). It also makes sense that it would be found more often because the most people would do the simple search of “Ad block” by itself, and when they do that, this is the plugin that comes up first since it’s got that exact name match. Most of the time the number of reviews is a good way of assessing what plugin you should install if you are stuck between choosing, but this is one of the cases where we’d say the majority has got it wrong. It isn’t quite as good as Ad Block Plus is. 7 Times Faster got its name because the developer had noticed that one of the websites that he liked to visit was loading nearly seven times faster after he started using his own work. Whether people like myself like the idea ad block or not, one thing that is undeniable is that a webpage, in theory, will load faster when it loads less stuff. So it’s only natural for a webpage to load quicker without the ads. In defense of the ads though, most high-quality ads load extremely fast and the further down the chain a website goes with its ad networks the slower they might become. Suffice to say that most high-quality websites don’t suffer very much from ad loading times—7 times the speed, for example, would be a stretch for any website that isn’t in the illegal or adult niches or that isn’t banned from the high-quality ad networks. 7 Times Faster is only a relatively new plugin and doesn’t have many downloads. This might cause this plugin not to have the same level of developing put behind it, and other factors come into play when assessing the quality of a plugin that goes beyond how quickly a site loads. The CPU usage being an important factor that would need to be taken into account as well. You don’t want your plugin to be putting stress on your hardware, especially the CPU of all bits and pieces, or else it could reduce the longevity of your computer. When writing an article a few months ago about the state of ad blockers being installed less, one of the potential reasons was about this new plugin that was out called uBlock Origin. Apparently, it was being installed on many computers, and after trialing it ourselves, we can see why. uBlock Origin runs very smoothly and uses less memory out of all the ad blocking plugins that we’ve tested. You’ll notice the difference yourselves: use another plugin and listen to the sound of your hardware when you load a webpage and then listen to your hardware when you load a webpage with this plugin. Most computers should find the same results which is uBlock Origin putting less stress on the hardware, something you can judge by listening to the amount of fan noise kicking in as you browse through webpages. It doesn’t have as many flashy features as some of the other plugins: Ad Block Plus has had lots of money thrown into it and has a complete list of options you can choose from its menu, but there’s none of that stuff with uBlock Origin. All you get is what looks like a Power button for you to click on when you want to white-list a website. Interestingly enough, it’s also the uBlock Origin that is available from the front page of the Firefox Quantum add-ons page. To get there, you just need to type “about:addons” into the Firefox address bar and hit the “Enter” key on your keyboard, then scroll down the page until you see where it says “Block adds” and shows the uBlock Origin logo. No downloading required at all. All you need is to toggle the switch that’s already there to the on position. We’ve written more extensively about Firefox’s new Quantum web browser if you’re interested in taking a closer look. This plugin doesn’t have that many downloads yet judging by the lack of reviews, but it is available for other web browsers out there as well, including FireFox and it is used by lots of people around the world—far more people than what it would appear when you look at the plugin page for Chrome. Another advantage is the icon in the browser is a darker shade of red and isn’t as obvious on the eye. It also comes with the convenience of a companion plugin, the uBlock Origin Extra, that helps you get around websites that block views from adblock users. I think most people started using ad blockers not because the internet was terrible without it but because the combination of their computers and the internet didn’t mesh well. I’ve only known computers myself really well for about 5 years now and it’s amazing how weak computers were not so long ago. Five years ago compared to now is night and day. And a lot of these people installing ad block and complaining about ads would have computers as much as ten years old or maybe even more. So I think once this new generation of computers start becoming used in everyday households it will take much of the strain away from the computer’s hardware. Yes ads run heavier than no ads, but using a new computer that is top of the range, you don’t notice any fan speed or slow down with the browsing. There is no stress put on the computer at all. And even today computers aren’t as good as they will be in 5 years from now. There is still lots of work to do even though they are great compared to five years ago. One of my laptops starts running heavy when I put it in Sleep mode for example. Just a random issue as though all of a sudden it has a 32-bit processor when in Sleep mode. I love that laptop outside of that one issue but it’s a big issue that will hopefully be fixed soon with a BIOS firmware update from the manufacturer.